Dialogs can be linked to Instructional Units providing a framework for the rapid development, deployment, and modification of curriculum. 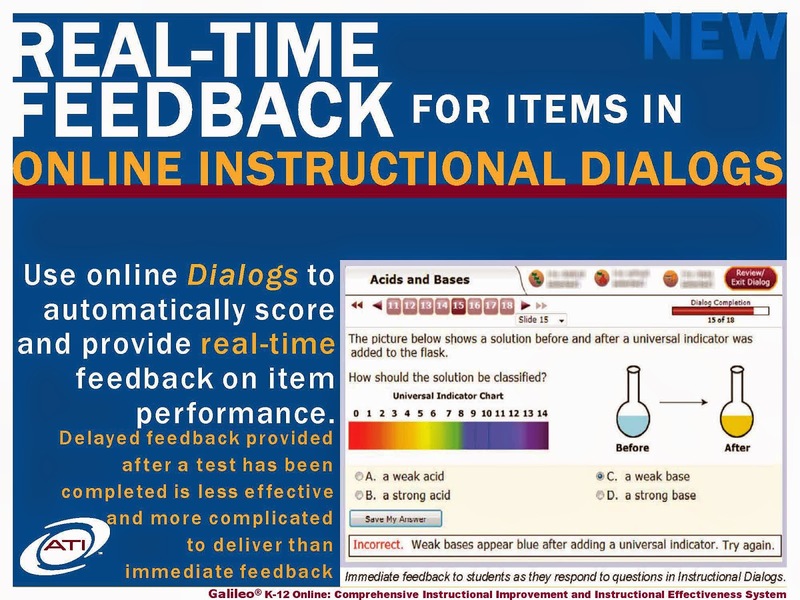 Online Instructional Dialogs integrate assessment and instruction. Thus, a Dialog may include a lesson, discussion of the lesson, and assessments of the mastery of lesson objectives interspersed throughout the Dialog. Integration makes it possible to provide immediate feedback during the instructional process, which has been shown in research studies to improve learning. Dialogs make it possible to offer instruction simultaneously in multiple classes in different locations supporting rapid and flexible dissemination of instruction. Dialogs provide a record of what has been taught and what has been learned. Accordingly, they can be used to assess the effectiveness of Instructional Units, making it possible to improve curriculum continuously. Dialogs make it possible to assess the efficiency and effectiveness of different forms of differentiated instruction. Formative assessments implemented in Dialogs support the introduction of Technology Enhanced (TE) items in an instructional environment that can promote the development of test-taking skills associated with TE item types and the mastery of valued standards targeted for instruction in district curriculum. To learn more about online curriculum development, contact your Field Services Coordinator.